Dodecahedron | Flickr - Photo Sharing! 180 magnets. 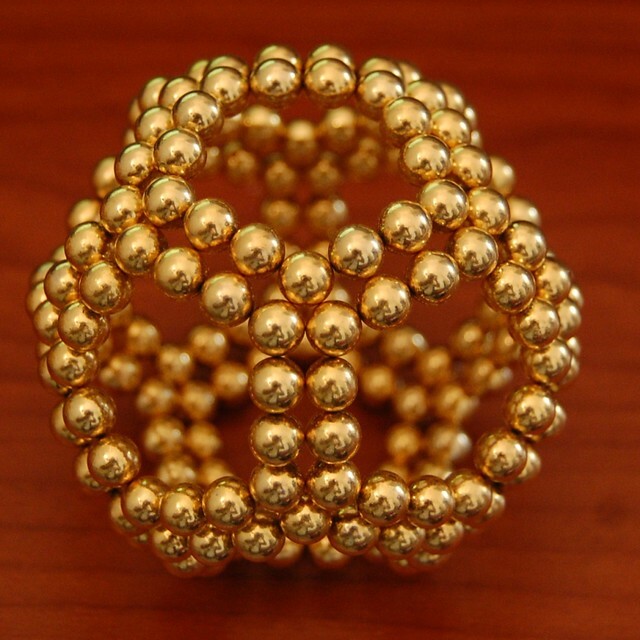 Twelve 15-magnet pentagons, triangular corners.